Former Iowa State golf star Celia Barquin Arozamena was honored Saturday prior to the school's football game against Akron. 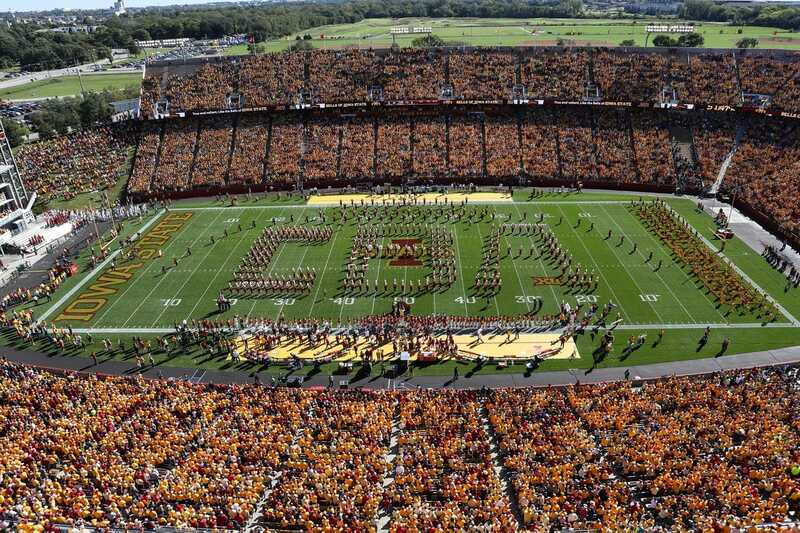 The Iowa State band spelled out Barquin Arozamena's initials -- CBA -- and a video tribute was played on the scoreboard prior to a moment of silence. Both teams wore CBA decals on their helmets and Cyclones coach Matt Campbell wore an Iowa State golf hat. Prior to her death, Barquin Arozamena was scheduled to be honored at the football game for being the school's 2017-18 female athlete of the year. A large number of fans wore yellow to the game with that being Barquin Arozamena's favorite color. Campbell could feel the energy in the stadium during the tribute to Barquin Arozamena. "A really tough week, an emotional week, in Ames, Iowa," Campbell said in his postgame press conference following the team's 26-13 victory. "To be quite honest with you, you hope a little bit of today starts the healing process, but we have the best fans in the country. Quite honestly, it was a very interesting week in a lot of ways in terms of watching this community rally around each other."